Here, we are revealing the secret behind the fantabulous Moongdal Bhajiya. Try the recipe at home. Step 1: Wash and soak the Moongdal in plain water for overnight (minimum 4 hours). Step 2: Chop the green chilli and ginger roughly and keep aside. Step 3: Drain the water from the Moongdal completely and add the Dal into a grinder or mixer grinder. Step 4: Grind the Moong Dal adding very little amount of water until it reaches paste from. Step 5: Add chopped green chillies and ginger along with asafoetida to it and again grind well until very smooth dough is obtained. Step 6: Pour the dough into a bowl. Step 7: Crush the coriander and pepper in a mixer to get a coarse texture. Step 8: Add salt, crushed coriander and pepper to the Moongdal dough and mix well. Step 1: Heat oil in a frying pan. Step 2: When it boils, take the Moongdal dough in a table spoon and drop into the oil one by one. Step 3: Fry the Bhajiya until the colour reaches golden brown. You can also deep fry them if you prefer. Step 4: Remove from oil and keep on a clean cotton cloth or tissue to remove the excess oil. Step 5: The sumptuous Moongdal Bhajiya is ready. You can eat this awesome fritters with hot chutney, tomato sauce and sautéed green chillies. 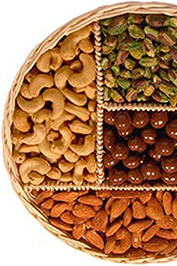 The purely Indian savoury gives you an exotic feeling of India’s great tastes. 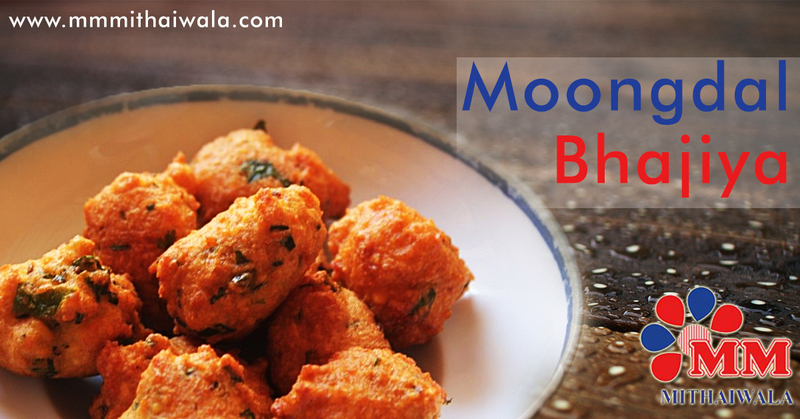 If you have not tried Moongdal Bhajiya yet, we welcome you to MM Mithaiwala Shop to enjoy the extra ordinary Moongdal Bhajiya. 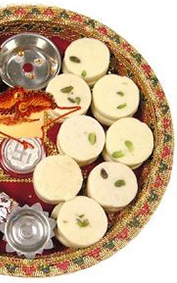 You can also order online at MM Mithaiwala Online Store.